I live an amazing life, and, in part, it's because of you. Though I rarely work on this site, being even remotely involved with it has afforded me opportunities I'd have never other experienced. Whether or not Christmas is your thing, I hope that everyone takes some time to appreciate and celebrate what they have, including and especially their loved ones. Long after our cell phones/Twitter/Facebook/etc, stop being important, it is those people who will continue to bring us joy and are truly what's important. Yes, even more important than Ronald McDonald's bottom line. Only 3 more days until the legendary Vale Tudo Japan event goes down with an unbelievable fight card. The event will take place on December 24th at the Yoyogi National Gymnasium live on SkyperfectTV. 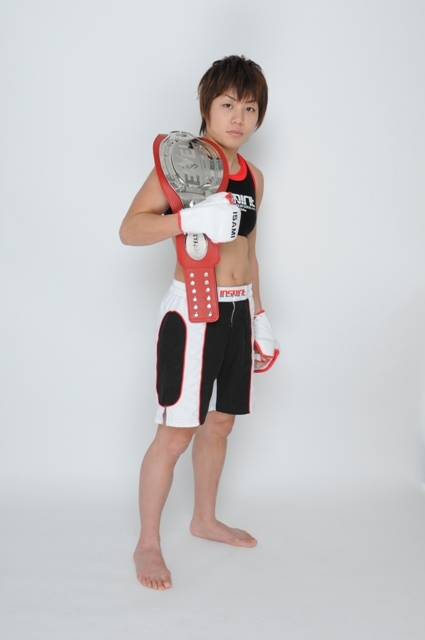 In the main event, SHOOTO legend Rumina Sato battles DREAM bantamweight favorite, Hideo Tokoro. To add to the excitement, viewers will also see 3 "JAPAN vs USA" bouts. Current SHOOTO welterweight champion and former UFC fighter, Kuniyoshi Hironaka (20-8), will be taking on UFC veteran Carlo Prater (30-12-1) in a highly anticipated lightweight matchup. Long time SHOOTO veteran Mamoru Yamaguchi (26-6-3) will be representing Japan in a flyweight showdown against the USA’s Darrell Montague (11-2). The number 1 SHOOTO prospect, 23 year old Kyoji Horiguchi (8-1), will take on UFC veteran and current Tachi Palace Fight champion, Ian Loveland (16-9). What was previously held as an annual mixed martial competition from 1994-1999 in Japan, VTJ has become a legendary event that helped pave the way for modern MMA. Brazilian Jiu-Jitsu legend Rickson Gracie was dominant in his tournament victories during the first two years of competition and helped put the sport on the mainstream map. The legendary tournament returns with VTJ 1st, which will have all matchups take place inside of a cage rather than the traditional ring. TOKYO, Japan (Dec. 7, 2012) - DREAM Lightweight (155 pounds/70 kilograms) Champion Shinya Aoki (31-6) will face battle-tested wrestling specialist Antonio McKee (28-4-2) at the DREAM Mixed Martial Arts (MMA) event at Saitama Super Arena on New Year’s Eve. The matchup was announced today by officials from DREAM and Glory Sports International, which is presenting the year-end show along with the GLORY 4 Tokyo – Heavyweight Grand Slam event. Also announced was a middleweight (185 pounds/84 kilograms) fight between Melvin Manhoef (26-9-1, 1 NC) and Denis Kang (35-15-2, 2 NC) and a 139-pound catchweight meeting between former DREAM bantamweight (135 pounds/61 kilograms) champion Bibiano Fernandes (12-3) and Yoshiro Maeda (30-11-2) of Japan. “Shinya Aoki is already a legend in mixed martial arts. His jiu jitsu and judo skills are just incredible and we are delighted to have him on the card for DREAM 18. The Saitama Super Arena is his home and the greatest matches of his career have been fought there. We expect another epic encounter on New Year’s Eve when he faces UFC veteran Antonio McKee,” said GLORY CEO Marcus Luer. Known as Tobikan Judan (‘Master of Flying Attacks’), Aoki is a grappling prodigy. An incredible 20 of his 31 career wins have been by way of submission and his victories include wins over Rich Clementi, Joachim Hansen and Eddie Alvarez. He has a ruthless killer instinct, exemplified by his breaking the arm of Mizuto Hirota at a 2009 New Year’s Eve event in the Saitama Super Arena. McKee has fought for the UFC, the IFL and top Canadian promotion MFC in a career spanning 12 years. Only four fighters have ever managed to beat him, and three of those - Karo Parisyan, Jacob Volkmann and Chris Brennan – have also competed amongst the upper echelon of fighters in the UFC and PRIDE FC. McKee was set to fight Aoki at DREAM: Fight for Japan last May, but the bout fell through because of visa issues. The Dutch dynamo Manhoef needs little introduction to fight fans in Japan or anywhere else. A huge fan favorite, Manhoef’s power and highly aggressive style combine to ensure that his fights rarely go the distance. He is one of only two men to ever stop Mark Hunt with strikes and he also has a win over Japanese legend Kazushi Sakuraba. French-Korean middleweight Kang won a ‘Fight of the Night’ award for his clash with Michael Bisping in the UFC. A second-degree Brazilian Jiu Jitsu black belt, Kang’s honors include being a finalist in the PRIDE FC Welterweight Grand Prix and winning a title in leading Korean promotion Spirit MC. He has wins over Murilo ‘Ninja’ Rua and Akihiro Gono. Fernandes won the 2009 DREAM Featherweight Grand Prix to become the organization’s first featherweight champion. After losing the belt to Hiroyuki Takaya, he moved down to bantamweight and won the DREAM Bantamweight Grand Prix. Maeda has competed for many of the best organizations in the world, including PRIDE FC, DREAM, WEC, Pancrase and DEEP. He fought for the WEC bantamweight title against Miguel Torres at WEC 34 and holds wins over Chase Beebe and Brazilian Jiu Jitsu expert Micah Miller among others. He was also a quarter-finalist in the DREAM Featherweight Grand Prix. ‘GSI presents DREAM 18 and GLORY 4 Tokyo - New Year's Eve Special’ - will commence at 4 p.m. JST with the DREAM 18 card and continue with the GLORY 4 Tokyo - Heavyweight Grand Slam, a one-night, 16-man, single-elimination tournament featuring the world’s top heavyweight stand-up fighters, including Semmy Schilt (39-6, 18 KO’s), Gokhan Saki (77-15, 53 KO’s), Daniel Ghita (44-7, 34 KO’s), Remy Bonjasky (77-14, 40 KO’s), Peter Aerts (104-30-1, 78 KO’s), Errol Zimmerman (76-16-1, 41 KO’s), Anderson ‘Braddock’ Silva (32-8-1, 22 KO’s) and Sergei Kharitonov (22-7, 12 KO’s). The winner of the heavyweight tournament will take home a Grand Prize of $400,000, and a total of $600,000 in prize money will be awarded to tournament participants. The GLORY World Series (www.gloryworldseries.com) is the world's premier kickboxing, or stand-up fighting league, staging events across the globe and offering up to $1,000,000 in prize money to the winners of 16-man ‘Grand Prix’ tournaments, which are open to only the best fighters in each weight class. The fight series also includes 8-man tournaments and events with traditional, single bouts. With television deals spanning every continent, plus a groundbreaking online video streaming system and the world's largest online martial arts library, GLORY is one of the world's most widely-broadcast sporting organizations. Owned and operated by Glory Sports International (GSI), the organization has offices in Holland, the UK, Tokyo, Thailand, Malaysia and Singapore. Its personnel includes a diverse mix of award-winning hedge-fund and private equity investors; principals from pioneering sports marketing agency Total Sport Asia; and senior level executives from several leading sports franchises, including WWE, FIFA, Golden Glory, Champions League and It's Showtime. I know it sounds crazy, but maybe, just maybe, it's because of stuff like this (courtesy of Charlotte's WBTV). LONDON & NEW YORK, Nov 19, 2012 -- FremantleMedia Enterprises (FME) today announced a major new distribution agreement with WWE (NYSE:WWE) for the exclusive home entertainment rights to WWE’s catalogue of programming across Europe, Middle East and Africa (EMEA). The deal goes into effect in January of 2013 and will see FME manage the DVD, Blu-ray and digital rights for all new and existing WWE content, making it the first time that fans of WWE’s popular programming can access it digitally across EMEA. Some of the new titles that will be released include Night of Champions 2012, Hell in a Cell 2012, Top 100 Raw Moments, Attitude Era and WrestleMania 29. WWE is a recognized leader in global entertainment. The company consists of a portfolio of businesses that create and deliver original content 52 weeks a year to a global audience. WWE is committed to family-friendly entertainment on its television programming, pay-per-view, digital media and publishing platforms. WWE programming is broadcast in more than 145 countries and 30 languages and reaches more than 600 million homes worldwide. FremantleMedia is one of the leading creators and producers of television entertainment brands in the world. FremantleMedia is part of RTL Group, the leading European entertainment network, which is in turn 92 percent owned by the international media company Bertelsmann. FremantleMedia’s worldwide production arm is responsible for many of the world’s highest rated prime time entertainment, drama, serial drama and factual entertainment programmes. FremantleMedia Enterprises is the brand extension arm of FremantleMedia, offering a one-stop-shop for all Licensing, Distribution and Home Entertainment around the world. The FremantleMedia Group (which includes FremantleMedia North America, UFA, FremantleMedia UK, FremantleMedia Australia, Ludia, @radical.media and Original Productions, amongst others) has operations in 22 countries, one of the most comprehensive global networks, creating over 9,200 hours of programming a year, rolling out more than 60 formats and managing over 300 individual titles. FremantleMedia has some of the world’s most sought after and long running formats in its catalogue, and globally, produces such programmes as: Idols (co-produced with 19 Productions in the US), Hole In The Wall, Got Talent (co-produced with Syco in the UK and the US), The X Factor (co-produced with Syco in the UK and the US), Take Me Out, Family Feud, The Price is Right, Farmer Wants A Wife, Gute Zeiten Schlechte Zeiten, and Neighbours. WWE, a publicly traded company (NYSE: WWE), is an integrated media organization and recognized leader in global entertainment. The company consists of a portfolio of businesses that create and deliver original content 52 weeks a year to a global audience. WWE is committed to family-friendly entertainment on its television programming, pay-per-view, digital media and publishing platforms. WWE programming is broadcast in more than 145 countries and 30 languages and reaches more than 600 million homes worldwide. The company is headquartered in Stamford, Conn., with offices in New York, Los Angeles, Miami, London, Mumbai, Shanghai, Singapore, Istanbul and Tokyo. Phoenix, Arizona - November 16, 2012 - Chris Escobedo, the owner of Elite Tattoo, has filed a lawsuit in the United States District Court of Arizona for copyright infringement against THQ, Inc., the makers of the hit mixed martial arts ("MMA") video games UFC Undisputed and UFC Undisputed 3. Escobedo, who is represented by Maria Crimi Speth of Jaburg|Wilk in the lawsuit, tattooed a large lion on the side of Carlos Condit, the current interim welterweight champion of the UFC. The lion tattoo was Escobedo's original creation, and was then re-drawn by THQ's animators for use in the video games. Escobedo did not authorize the copying of his original artwork. "I would not have agreed to the recreation of the tattoo by an animator," says Escobedo, who explains that if he had been approached by THQ to license the tattoo, at a minimum he would have insisted on approving the artwork and being fairly compensated. "People often believe that they own the images that are tattooed on them by tattoo artists," explains Speth. "In reality, the owner of the tattoo artwork is the creator of the work, unless there is a written assignment of the copyright in the tattoo art." Escobedo and Condit never had a written agreement. Thus, claims Escobedo in the lawsuit, he remains the owner of the copyright over the image he drew. Carlos Condit is not the first celebrity to find himself in a dispute over his tattoo. Mike Tyson's facial tattoo was used without permission of the tattoo artist on a character in the movie The Hangover II. The tattoo artist filed a lawsuit, which was settled for an undisclosed amount, but not before a California District Court judge ruled that there was a likelihood of success on the merits of his case for unauthorized copying of the tattoo. These cases are an important reminder to celebrities that if they want to own their tattoos, they must ask for a written assignment of the copyright from the tattoo artist. Otherwise, what they have paid for is merely a license to display the image on their body. This license, according to Speth, does not include the right to give third parties (such as video game developers or movie producers) permission to copy and commercialize the image. For information contact Maria Crimi Speth at mcs@jaburgwilk.com, 602.248.1000 or click here to view the lawsuit. SOURCE: Jaburg & Wilk, P.C. Maiquel Falcão, who, with his well-traveled record of 31-4-1, is no stranger to fans of Bellator Fighting Championships or the UFC, has officially launched his website, available in English, Portuguese, and Spanish. Falcão is still awaiting word on when he and Alexander Shlemenko (Bellator's Season-Five middleweight champ) will meet for Bellator's Middleweight crown, vacated by Hector Lombard when he signed with the UFC. I should soon have more on that bout (including a look at how Falcão is training for Shlemenko). TheTOEvent is an inaugural event in support people affected by cancer. Come see the unveiling of a one-of-a-kind LIVESTRONG® Edition MV Agusta from the F4RR to be auctioned on Ebay to benefit the Lance Armstrong Foundation and SickKids. Since the original concept was approved, the fundraiser has received a lot of support in addition to a $32,000 Italian super bike which can be seen at www.thetoevent.com following the unveiling. TheTOEvent has partnered with TapouT, the premiere MMA apparel brand Co-founders Dan Caldwell aka Punkass and Tim Katz aka Sky Skrape to create and unveil custom “TapouT” branded motorcycles previously. Dan Caldwell (PunkAss) will be on hand to assist with the unveil. Argon 18, one of the world’s finest road racing bicycle manufacturers and sponsor of the only Canadian Pro cycling team SpiderTech is also on board and has donated a $10,000 E-116 road racing bicycle to be unveiled and auctioned as well. The final piece to this event was to have FlatOut Industries design and develop a generation 2 illuminated skateboard that would far exceed the performance and technology used in the board they made for Justin Bieber’s Christmas present last year from his father. The unveiling of these exclusive items will take place @ 8:30 pm on September 21st at Fiction Club, 180 Pearl Street, Toronto. This event will be hosted by “Ring Girl” Brittney Palmer with special guests Dan Caldwell (PunkAss) , Canadian cycling icon Steve Bauer (Olympic and World Championship medalist, 14 time yellow jersey victor in the Tour de France). These items will go online via Ebay auction commencing at the end of October culminating with the final wrap up party on November 7, 2012 at a location in Toronto to be announced. Founded in 1997, TapouT was the first apparel brand to represent the sport of MMA. Since then, TapouT has become synonymous with the sport and is the most recognized MMA apparel brand in the world with professional athletes and fans alike wearing TapouT as a badge of honor symbolizing the brand’s never quit fighting spirit. The Lance Armstrong Foundation serves people affected by cancer and empowers them to take action against the world’s leading cause of death. With its iconic yellow LIVESTRONG® wristband, the Foundation became a symbol of hope and inspiration to people affected by cancer throughout the world. Created in 1997 by cancer survivor and champion cyclist Lance Armstrong, the Foundation provides free patient navigation services to survivors with financial, emotional and practical challenges that accompany the disease. Known for its powerful brand— LIVESTRONG® —the Foundation is also a leader in the global movement on behalf of 28 million people living with cancer today. Since its inception in 1997, the Foundation has raised nearly $500 million for the fight against cancer. For more information, visit LIVESTRONG.org. FlatOut Industries was founded in 2004 by Sean Mance, who started the business after noticing a legitimate lack of options for the custom automotive and motorcycle market in Canada. Since the business specialized in one of a kind, custom designed CNC machined parts that were available nowhere else on the planet…the customer list grew quickly and so did their reputation. FlatOut Industries has always grown their branding through their innovative concepts and products. From the Adidas World Cup motorcycle, to the custom ATVs for the 2010 Vancouver Olympics, to the custom private builds…the passion and ideas from FlatOut Industries show no sign of slowing down. What have we learned? Bet the farm on Jones finishing Henderson before the end of the second round. RF Video Presents A Special Apperance By WWE Hall Of Famer EDGE!!! Pre-order now by sending payments via PayPal to feinsteind@aol.com or you can mail in a check/money order to: RF Video, PO BOX 797, Langhorne PA 19047. We look forward to seeing everyone on October 7th! Former World Wrestling Entertainment Superstar Dustin Runnels, best known to wrestling fans globally as "Dustin Rhodes" and "Goldust," is now available to independent wrestling companies for match bookings, wrestling seminars, autograph sessions and personal appearances. Runnels, who most recently was a producer for WWE, lending his knowledge and expertise to younger talent, and who had frequent on-air appearances as "Goldust," is a respected member of the WWE's alumni who - as a second generation performer, author and high profile champion - brings more than 25 years of pro wrestling experience with him to events. As a dedicated father and fiancé, Dustin also brings a fan-friendly and professional demeanor with him to the independent circuit, which is an important ingredient that is necessary toward making any event he is part of, a memorable and enjoyable one for the paying consumer. Dustin is based out of Central Florida and is exclusively being represented by author and former National Wrestling Alliance president Howard Brody of Fort Lauderdale. For booking inquiries and availabilities on Dustin, Brody can be contacted via e-mail at howard@howardbrody.com. All serious inquiries will be addressed. KANSAS CITY, Kan. (April 27, 2012) – All 11 bouts, including the featherweight (145 pounds) main event rematch between superstar Marloes Coenen (19-5) of The Netherlands and 22-year-old armbar wizard Romy Ruyssen (5-1) of France, were made official at today’s weigh-in at Hotel Phillips for the inaugural Invicta Fighting Championships all-women’s Mixed Martial Arts (MMA) event tomorrow/Saturday, April 28 at Memorial Hall, live on InvictaFC.com. Coenen weighed in at 146 pounds and Ruyssen originally weighed in at 150.4 pounds, but cut to 149.8 pounds over the course of the next two hours to reduce the weight spread between the two headlining fighters to 3.8 pounds. Kansas State Athletic Commission rules mandate that opponents, with the exception of those in the featherweight division, must weigh within three pounds of each other in order to compete the following day. Opponents in the featherweight division must weigh within five pounds of each other. Tickets for the inaugural Invicta Fighting Championships event, priced from $35, are on sale at Memorial Hall box office (913) 549-4853), online at Ticketmaster.com and InvictaFC.com and by phone at (800) 745-3000. The live stream of the event on InvictaFC.com will begin at 8 p.m. EST/5 p.m. PST with the five-bout preliminary card and continue with the six-bout main card. The stream will be available free of charge. Strikeforce bantamweight star and United States Marine Liz “Girl-Rilla” Carmouche (5-2) of San Diego, Calif. will square off with unbeaten prospect Ashleigh Curry (1-0) of Kansas City, Mo. Leslie Smith (3-2) of Pleasant Hill, Calif. will meet Kaitlin Young (7-5) of St. Louis Park, Minn. at bantamweight and Sally Krumdiack (9-4) of Bellingham, Wash. will duke it out with Sarah Schneider (5-5) of Kansas City, Mo. at flyweight (115 pounds). In preliminary card action, 2008 Olympic wrestling bronze medalist Randi Miller (0-0) of Denver, Colo. will make her highly-anticipated MMA debut against Mollie Estes (1-0) Lake Lotawana, Mo. 001_Sarah_D’Alelio_and_Vanessa_Mariscal – Grappling specialist Sarah D’Alelio (left) will face off with unbeaten Brazilian Jiu-Jitsu brown belt Vanessa Mariscal in a bantamweight (135 pounds) matchup at the first-ever Invicta Fighting Championships all-women’s MMA event, live on InvictaFC.com, from Memorial Hall in Kansas City, Kan. on Saturday. 002_Kaitlin_Young_and_Leslie_Smith – Twenty-four year-old MMA and Muay Thai competitor Kaitlin Young (left) weighed in at 135.4 pounds while her opponent, power puncher Leslie Smith (right), weighed in at an even 135 pounds for the pair’s bantamweight tilt. 003_Liz_Carmouche_and_Ashleigh_Curry – U.S. Marine Liz “Girl-Rilla” Carmouche (left) collides with unbeaten Kansas City prospect Ashleigh Curry (right) in another featured bantamweight battle. 004_Jessica_Penne_and_Lisa_Ellis – Fast-rising star Jessica Penne (left) faces off with submission fellow specialist Lisa Ellis-Ward (right) in the atomweight (105 pounds) co-main event. 005_Marloes_Coenen_vs_Romy_Ruyssen – Superstar and former Strikeforce champion Marloes Coenen (left) engages 22-year-old armbar wizard Romy Ruyssen (right) in a tense staredown one day before their main event rematch at the inaugural Invicta Fighting Championships event. Coenen was the victory of their first meeting in Aug. 2008 by way of second round submission (rear-naked choke). 006_Marloes_Coenen_vs_Romy_Ruyssen – Coenen (left) and Ruyssen (right) continued to eye each other even after they faced off. MAURO RANALLO, “KING MO” LAWAL AND JULIE KEDZIE TO CALL THE ACTION AT INAUGURAL INVICTA FIGHTING CHAMPIONSHIPS ALL-WOMEN’S MMA EVENT APRIL 28 IN KANSAS CITY, KAN.
KANSAS CITY, Kan. (April 23, 2012) – SHOWTIME Mixed Martial Arts (MMA) voice Mauro Ranallo, light heavyweight superstar “King Mo” Lawal and women’s star Julie “Fireball” Kedzie will call the action cageside at the first-ever Invicta Fighting Championships all-women’s professional MMA event, live on InvictaFC.com, from Memorial Hall in Kansas City, Kan. on Saturday, April 28. Ranallo, the lead commentator for Strikeforce on Showtime as well as for Canada’s The Score Fighting Series and a former commentator for Japan’s Pride Fighting Championships, will serve as the play-by-play announcer during the live stream of the event. Lawal is a former Strikeforce light heavyweight champion who burst onto the fight scene four years ago with four straight victories in Japan’s World Victory Road MMA series and has since amassed a career record of 8-1 (1 NC). A former NCAA Division I All-American wrestler for Oklahoma State University, the 31-year-old has gained recognition for his technical knowledge of MMA and his meticulous attention to fighters’ styles. Like Lawal, Kedzie brings a wealth of MMA fight experience with her to the show. A student of famed trainer Greg Jackson, the 31-year-old has been competing as a professional since 2004 and holds a career record of 16-9. “This Invicta show is a landmark moment in the history of women’s MMA and I’m very excited and honored that I was asked to be a part of it,” said Kedzie. The live stream on InvictaFC.com will begin at 8 p.m. EST/5 p.m. PST with the event’s five-bout preliminary card and continue with the six-bout main card. The first-ever Invicta Fighting Championships event will be headlined by a long-awaited featherweight (145 pounds) rematch between superstar Marloes Coenen (19-5) of The Netherlands and Romy Ruyssen (5-1) of France. Coenen was the victor of their first meeting on Aug. 2, 2008 by way of submission (rear-naked choke) in the second round of action. Another Strikeforce bantamweight competitor, Sarah D’Alelio (4-2) of San Jose, Calif., will face undefeated former Royce Gracie student and Brazilian Jiu-Jitsu brown belt Vanessa Mariscal (2-0) of El Segundo, Calif.
Making her MMA debut on the preliminary card will be 2008 Olympic wrestling bronze medalist Randi Miller (0-0) of Denver, Colo. Miller will face unbeaten Mollie Estes (1-0) of Lake Lotawana, Mo. at featherweight. In preliminary card action, Nicdali Rivera-Calanoc (7-5) of Tulsa, Okla. will take on Amy Davis (2-2) of Idaho Falls, Idaho at strawweight. Sarah Maloy (2-2) of Ada, Okla. will meet Michele Gutierrez (3-2) of Las Vegas, Nev. in a super flyweight (125 pounds) tilt. Unbeaten Ashley Cummins (2-0) of St. Louis will battle Sofia Bagherdai (4-1) of Upland, Calif. at flyweight. Cassie Rodish (1-3) of Waukee, Iowa will face Meghan Wright (1-3) of Cincinnati, Ohio in a strawweight matchup. STAMFORD, Conn. Apr. 16, 2012 -- WWE (NYSE:WWE) announced today that WrestleMania, held April 1 at Sun Life Stadium in Miami, set new records for pay-per-view buys and gross sales. Preliminary estimates show that WrestleMania, featuring the historic Once in a Lifetime match between The Rock® and John Cena®, garnered 1.3 million pay-per-view buys with global gross sales in excess of $67 million including the live event. WrestleMania was seen around the world on pay-per-view in more than 105 countries and 20 languages. Next year’s WrestleMania will take place Sunday, April 7, 2013 at MetLife Stadium in East Rutherford, N.J. Ticket information will be announced later this year. Forward-Looking Statements: This news release contains forward-looking statements pursuant to the safe harbor provisions of the Securities Litigation Reform Act of 1995, which are subject to various risks and uncertainties. These risks and uncertainties include, without limitation, risks relating to maintaining and renewing key agreements, including television and pay-per-view programming distribution agreements; the need for continually developing creative and entertaining programming; the continued importance of key performers and the services of Vincent McMahon; the conditions of the markets in which we compete and acceptance of the Company's brands, media and merchandise within those markets; our exposure to bad debt risk; uncertainties relating to regulatory and litigation matters; risks resulting from the highly competitive nature of our markets; uncertainties associated with international markets; the importance of protecting our intellectual property and complying with the intellectual property rights of others; risks associated with producing and travelling to and from our large live events, both domestically and internationally; the risk of accidents or injuries during our physically demanding events; risks relating to our film business; risks relating to increasing content production for distribution on various platforms, including the potential creation of a WWE network; risks relating to our computer systems and online operations; risks relating to the large number of shares of common stock controlled by members of the McMahon family and the possibility of the sale of their stock by the McMahons or the perception of the possibility of such sales; the relatively small public float of our stock; and other risks and factors set forth from time to time in Company filings with the Securities and Exchange Commission. Actual results could differ materially from those currently expected or anticipated. In addition, our dividend is dependent on a number of factors, including, among other things, our liquidity and historical and projected cash flow, strategic plan (including alternative uses of capital), our financial results and condition, contractual and legal restrictions on the payment of dividends, general economic and competitive conditions and such other factors as our Board of Directors may consider relevant. LAS VEGAS, April 12, 2012 -- The Ultimate Fighting Championship®, the world's leader in mixed martial arts (MMA), applauds the announcement made earlier today of the creation of the new International Mixed Martial Arts Federation (IMMAF). The UFC wholeheartedly supports this new initiative as well as its leader, IMMAF President August Wallen, who will spearhead the initial growth of this Federation. UFC Chairman and CEO Lorenzo Fertitta, who has helped lead the global growth of the UFC, feels that the timing is perfect. "In order to maintain the successful growth of our sport, it is important to invest in resources that will develop and cultivate it at an amateur level. Having an umbrella organization that will oversee and help build the sport on a global level will not only provide advanced and ever-improving safety standards but will also create a unified global model to help introduce the sport to new markets. It is our hope that it will also take us one step closer to witnessing the inclusion of the sport of MMA on the Olympic programme." "The creation of this organization is long overdue," said Marc Ratner, Senior Vice President of Government and Regulatory Affairs. "MMA is the fastest growing sport in the world and we support the Federation's focus on providing a globally unified set of rules and safety measures to help keep all fighters safe. While there are many obstacles ahead in the formation of this international organization, we are confident of the outcomes and advancements this group will make for the future of our sport." The UFC has long been committed to the growth and development of the sport of MMA. With broadcasts in over 150 countries and territories, to nearly one billion homes worldwide, in 20 different languages, and more than 30 live events annually worldwide, the UFC has helped introduce the sport to many new cultures and audiences. The creation of the IMMAF will help to foster the development of the sport at the grassroots level and bolster the work being done by the UFC and all other MMA organizations worldwide, further developing the integrity and legitimacy of the sport. To learn more about the International MMA Federation visit www.immaf.org. Universally recognized for its action-packed, can't-miss events that have sold out some of the biggest arenas and stadiums across the globe, the UFC® is the world's premier mixed martial arts organization. Owned and operated by Zuffa, LLC, headquartered in Las Vegas, Nevada, and with offices in London, England, Toronto, Canada and Beijing, China, UFC® produces more than 30 live events annually and is the largest Pay-Per-View event provider in the world. In 2011, the UFC burst into the mainstream with a landmark seven-year broadcast agreement with FOX Sports Media Group. The agreement includes four live events broadcast on the FOX network annually, with additional fight cards and thousands of hours of programming broadcast on FOX properties FX and FUEL TV. This includes the longest-running sports reality show on television, The Ultimate Fighter®, which now air on FX in an exciting new live format. In addition to its reach on FOX, UFC programming is broadcast in over 150 countries and territories, to nearly one billion homes worldwide, in 20 different languages. UFC content is also distributed commercially in the United States to bars and restaurants through Joe Hand Promotions. The UFC also connects with tens of millions of fans through its website, UFC.com, as well as social media sites Facebook and Twitter. UFC President Dana White is considered one of the most accessible and followed executives in sports, with nearly two million followers on Twitter. Ancillary UFC businesses include best-selling DVDs, an internationally distributed magazine, the best-selling UFC Undisputed® video game franchise distributed by THQ, UFC GYM®, UFC Fight Club affinity program, UFC Fan Expo® festivals, branded apparel, trading cards, and action figures. Notes: Not sure of bout order, but this should be the complete lineup. INVICTAFC.COM TO STREAM INAUGURAL ALL-WOMEN’S MMA EVENT LIVE APRIL 28 FROM KANSAS CITY, KAN.
KANSAS CITY, Kan. (March 28, 2012) – Invicta Fighting Championships will stream its inaugural all-women’s professional Mixed Martial Arts (MMA) event live in its entirety, free of charge to a worldwide audience on the promotion’s website, InvictaFC.com, from Memorial Hall in Kansas City, Kan. on Saturday, April 28. “Since we announced the formation of Invicta, we’ve received tremendous support and interest from fight fans around the world who are eager to watch some of the best fighters in the women’s field of MMA compete in our first event,” said Invicta President and Co-Founder Shannon Knapp. The live stream on InvictaFC.com will begin at 8 p.m. EST/5 p.m. PST with the event’s five-bout preliminary card and continue with the seven-bout main card. The first-ever Invicta Fighting Championships event will be headlined by a long-awaited featherweight (145 pounds) rematch between superstar Marloes Coenen (19-5) of The Netherlands and Romy Ruyssen (5-1) of France. Undefeated rising star Cat “Alpha” Zingano (6-0) of Denver, Colo. will square off with fellow hard-hitting prospect and professional boxer Anita “El Tigre” Rodriguez (5-2) of Dallas, Texas in a featured bantamweight (135 pounds) bout. Another Strikeforce bantamweight competitor, Sarah D’Alelio (4-2) of San Jose, Calif., will face Shana “Rock Solid” Nelson (5-2) of Hibbing, Minn. According to an HBO Latino press release, on Monday, April 9, at 8 PM ET, the network will premier 'Destino Deporte,' a documentary which claims to go "beyond the scores and statistics to cover the unexplored side of sports." Although I have no idea what was filmed, or even when, one of the program's topics will be "the triumphs and tragedy of lucha libre in Mexico City." STAMFORD, Conn., March 20, 2012 – WWE (NYSE:WWE) and NBCUniversal are joining forces to televise “Once in a Lifetime – Rock vs. Cena,” an epic one-hour special that follows WWE Superstars The Rock® and John Cena® on their respective roads to WrestleMania® XXVIII. This first ever behind-the-scenes special premieres Monday, March 26 on USA Network at 8/7c and will also air on NBCUniversal networks including Syfy, Bravo, E!, Oxygen, G4, Style, NBC Sports Network, mun2, CLOO and Universal HD leading up to WrestleMania on Sunday, April 1st at 7:00 p.m. ET. This lifestyle special is a candid and compelling look at two of the biggest icons in sports entertainment history as they prepare for their Once in a Lifetime main event match. From touring and training on the road to Hollywood movie sets to the 54th Annual Daytona 500, this in-depth look with exclusive footage gives viewers unprecedented access and a glimpse into the personal lives of these men. SHANGHAI, March 14, 2012 -- With the bell set to ring in its first event of 2012, RUFF (Ranik Ultimate Fighting Federation), in partnership with Los Angeles-based Mandt Bros. Productions and Beijing's Wushu Administrative Center, held a press conference in Shanghai today to announce its first full season and the 2013 Super Fight, a title fight to crown China's first MMA national champions. The announcement, made by Joel Resnick of RUFF and Neil Mandt of Mandt Bros., came ten days ahead of RUFF 3 on March 24, and further outlined the Super Fight details. In addition to the championship belt, winners of each weight class, including the newly introduced 125 lbs. (57 kg.) Flyweight Division, will become instant millionaires in China, earning RMB 1,000,000 for claiming the title. RUFF, the first professional mixed martial arts (MMA) organization sanctioned by the government of China, recently signed a development deal with Mandt Bros. to lead all television production, beginning with the March 24 contest, to be broadcast around the Chinese mainland the following week. In October 2010, after four years of negotiating with the Wushu Administrative Center, the governing branch of Chinese combat sports, RUFF founders Joel Resnick and Saul Rajsky secured the rights to produce and promote live professional MMA events in China. RUFF held its first two fights in late 2011, setting the stage for an exciting year of growth for the first and only MMA organization in China. Headquartered in Shanghai, Ranik Ultimate Fighting Federation (RUFF) has the exclusive rights to produce and promote live MMA events as a sanctioned sport in China, by permission of the General Administration of Sport of China and the Wushu Administrative Center. Its first two MMA events were produced in late 2011 in Shanghai and Chongqing. The next event is scheduled take place on March 24 in Chongqing. For more information, please visit www.ruffchina.com. Brothers Neil and Michael Mandt are partners in the four-time Emmy Award-winning production company Mandt Bros. Productions, headquartered in Los Angeles. Between them, they have earned four Emmy Awards, nine Emmy nominations, among numerous other accolades. Their projects include the critically acclaimed feature film Last Stop for Paul, its TV adaptation "Next Stop for Charlie" (Showtime) and other television projects which have included "Destination Truth" (Syfy), "Jim Rome is Burning" (ESPN), "Ice Brigade" (Food Network), "Strangers in Danger" (Fuel TV) and "The Car Show" (Speed Network). MIAMI, March 5, 2012 -- Tr3s: MTV, Musica y Mas, the bilingual/bicultural entertainment destination for Hispanics in the US, delivers more mixed martial arts (MMA) fights with the premiere of the 6th season of Bellator Fighting Championships in Spanish. The world class MMA platform will feature the most dynamic fighters in the industry including Latino Bellator Middleweight World Champion Hector Lombard. Bellator in Spanish will premiere every Sunday starting March 11th at 10pm (ET) on Tr3s. "Tr3s is the perfect platform for the vibrant mixed martial arts action of Bellator," commented Charlie Singer SVP of Content and Creative for Tr3s. "Hispanic audiences continue to identify themselves with this beloved cultural sport, and religiously tune into our MMA lineup week-after-week. Partnering with Bellator allows us to deliver on our audience's enthusiastic appetite for more engaging and innovative MMA content." Bellator Fighting Championships is the first MMA promotion to hold an internationally televised tournament format. Unlike other organizations, Bellator's live fights and tournaments are structured so that the fighter's talent and ability determines their rank in the cage. This season will be stacked with great talent including Latino heavy-hitters Alexis "The Exorcist" Vila, Eddie Alvarez, Chris "The Assassin" Lozano, Douglas Lima, Eduardo "Dudu" Dantas, among others. George X is one of the most admired Spanish-language announcers in Mexico, calling the shots in multiple sports including the NBA, the Winter Olympics and the Super Bowl. Extreme sport fanatics know George X as the face and voice of ESPN's Spanish-language X-Games coverage. An MMA expert, George X pens articles in various publications including Extreme Fighting. George joined the Bellator team in 2009. Manny Rodriguez, previously ranking as the Heavyweight Champion for King of the Cage, has taken on the role as announcer for multiple MMA Live broadcasts in Mexico and has played a key role in the Spanish division of Bellator since its inception in 2009. Tr3s: MTV, Musica y Mas, owned and operated by MTV Networks Latin America, reaches 6.1 million Hispanic TV households (45% of US Hispanic Total TV HH) and 34 million total TV households. The network's programming embraces the trilogy of cultures that represents Latino life – Latin American plus American equals US Latino – through original productions, key acquisitions, and content from MTV Networks' portfolio of entertainment brands. Tr3s embraces the key lifestyle aspects of Latino identity -- milestones, making it and music -- as well as social responsibility through its initiative "Agentes de Cambio," which tackles issues that affect Latinos today. The network also taps into the growing number of Latinos that are digitally connected through www.tr3s.com. LITTLE FALLS, NJ, 03/05/12 -- Worldwide Mixed Martial Arts, Inc. (WMMA) is proud to release their complete fight card for their inaugural charitable event benefiting the Wounded Warrior Project (WWP) and the U.S. Army Wounded Warrior Program (AW2). The event will take place on March 31, 2012 at the Don Haskins Center in El Paso, TX. Last month, WMMA announced that they will be hosting the inaugural event and a portion of the gate will be donated to the WWP and AW2. WMMA believes mixed martial arts is bigger than the company, therefore it has chosen to honor and provide assistance to our service members by partnering with organizations that are experts in assisting our real warriors and their families. "We take pride in our fights," stated William McFarlane, President of WMMA. "Our fans mean the world to us and our gratitude will be shown through the events that we produce; that means the most action-packed bouts and the very best of mixed martial arts. Most importantly, it means supporting our real heroes and true fighters, our military, our soldiers, our families. This event is for them." Fans of WMMA will also be treated to an amazing undercard, which is set to be streamed live on WMMA's website, www.wmmasports.com. Broadcast plans for the main card will be announced very soon. McCorkle vs. Heden: Fighting For A Better World will take place on Saturday, March 31st at the Don Haskins Center in El Paso, Texas. Tickets are on sale now and can be purchased on Ticketmaster. Full card is subject to change. For more information on WMMA, please visit http://www.wmmasports.com. Worldwide Mixed Martial Arts Sports, Inc. ("WMMA") is more than the sport of mixed martial arts. WMMA is a premier sports and entertainment enterprise dedicated to the global, responsible development of the sport of mixed martial arts through the promotion of culture and humanitarian values founded on the principles and traditions of balanced mental, physical and spiritual development.